If you were to come across the path of a bear in Ontario it would most likely be a Black Bear. 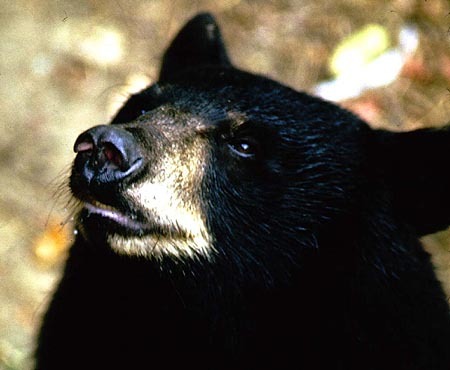 Black bears are attracted, by sense of smell to food and garbage. When hungry they will follow their keen sense of smell right onto a cottage property to rummage through the garbage for a meal. Here are some things the ministry of natural resources recommends doing around the cottage so that you aren’t surprised next time you open the cottage door. I have come across two black bears in my cottaging time once, at Pigeon Lake near Bobcaygeon. It wasn’t a full adult bear, but must have been hungry given it showed up middle of the day with 5 men on the lot making lots of noise. Together we threw are arms about and yelled. It turned around and ran back into the woods. The other time I was leaving Lake Salerno by Irondale. This guy was huge and standing in the middle of a dirt road. As we got closer in our car he sauntered off the road and slowly made his way into the woods. I’m sure there are many people that have bear stories to tell. If you don’t want to be one of them heed the tips above.